Coming over to Malaysia I am realising that ‘Life Coaching’ is still not really understood here. 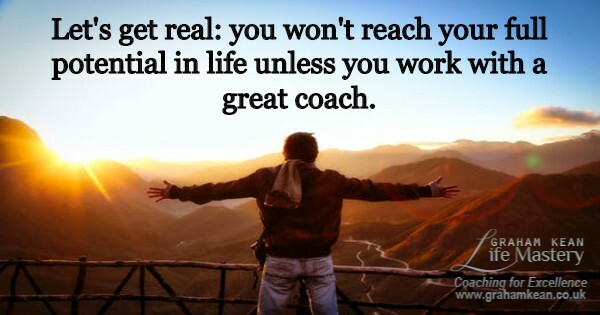 I understand that many people do know about life coaching, but it is not something that is widely available. It may even not be a fit within the cultural paradigm in Malaysia or Asia in general. I decided I would offer up the reasons people come to me for coaching, the benefits working with a trained and certified coach can bring. Most people know that if you want to succeed in any given sport you need to engage a coach, someone that will support you in being the best you can be. What people may not realise is that I have coached sportsmen and women, teachers, lawyers, and business owners but I know nothing much about their sport, what it is to be a teacher, lawyer or a business owner in their line of business. I work with people on their BEING, not necessarily on what it is they are doing. I work with what holds them back, I work with their fears, the beliefs that limit them, I support my clients in seeing how their past holds them in their present and how they get caught in a Vicious Cycle which inhibits their future. People often feel comfortable in the shadows, I journey with them and shine a light on the darkness enabling them to see their goals clearly. Increased self confidence & self esteem – being able to share your challenges, share your shadow parts, share your fears and your phobias enhances your relationship with you! This supports a strong positive personal mindset – an important key to success. Better relationships – I will help you gain clarity about your “wants and needs” so you can build healthier relationships and truly own your part in the important relationships in your life. This obviously includes your husband, wife, partner, parents, children, and close friends but also extends to your boss and co-workers. A life coach helps you become more accountable – you will follow through on whatever you procrastinate about or stop yourself from doing. You will gain a new relationship with ‘keeping your word’. We all place limits on ourselves. We all have limiting beliefs and patterns that are holding us back, preventing us from fulfilling our true potential. I will push you beyond your limits and what you thought was possible, this is the realm of the breakthrough. No more reasons and excuses holding you back from being the best you can be. This experience has given me positive results in my ability to become more fully self-expressed, have greater clarity, and discernment, which is helping me to evolve, be in alignment with my values and true essence. ~ Maria Defillo, Insurance Consultant, Miami, Florida, USA. With Graham’s excellent coaching ability helping me get to the root of my issues I have literally let go of the darkest shadows that have defined me my whole life. This is quite incredible to me because in all my adult life I have attempted many times to rid myself of these dark shadows through therapy, reading, seminars, workshops and other forms of help, this ‘re-birth’ has only happened through his coaching. Graham was totally committed, caring and skilled. ~Entrepreneur, Career Woman and Single Mother, Singapore. Graham helped me to rediscover my strengths, deal with my weaknesses, making me realise that some of what I saw as weaknesses were actually strengths. He made a real difference for me during my time in Malaysia, and now, 3 months into my next “adventure” in Costa Rica, his work with me is still making a difference. For what it’s worth, he will always be my life coach. ~Jannie Uglvig, Expat Wife, Malaysia. Check out the full feedback from my clients and how their coaching journey with me has changed their lives. Most people do not have the time to work face to face with a coach. I offer the opportunity of one to one coaching sessions over the internet, with, or without video. It is the next best thing and is proving more and more popular with my clients. Please get in touch to book your Skype Coaching session. The price of each session depends on how many you require, as I offer a discount for booking a course of sessions, 3 months and 6 months. To get maximum benefit I usually recommend that you have 6 sessions, once every week or 2 weeks to start with and see how we go. This is a guide and services can be tailored around your requirements. I am very flexible. Find out what to expect during your coaching journey with me.